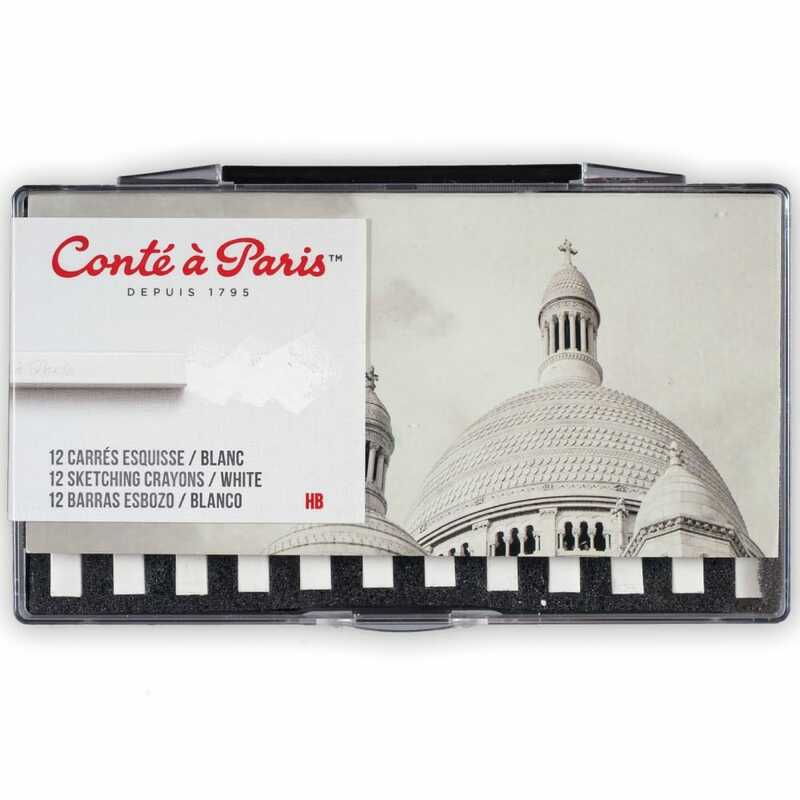 Conté à Paris Colour Carre Crayons have a square shape making them ideal for everything from coloured backgrounds to more precise detailed work. Each stick contains the highest level of pigment and this together with the lightfastness and the exceptional brightness of the colours, not the mention their high level of purity makes it a favourite with the pastel artist. This set contains 12 white colour crayons. Each crayon is 6 x 6 mm and has a length of 65 mm.